WOM World/Nokia contacted me again if I wanted to trial a Nokia N8. 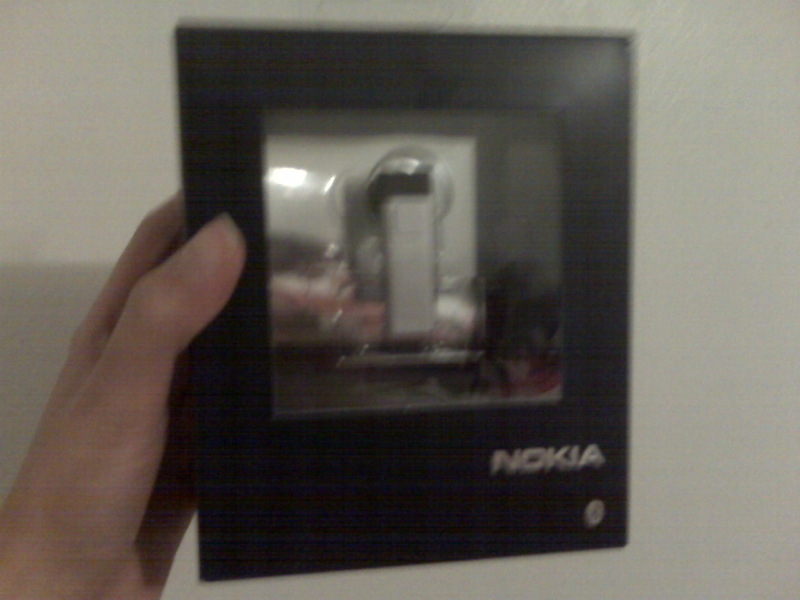 I gladly accepted and I got the Nokia N8 by courier two days ago. Here are photos of the unboxing. Review on the product in another post coming soon. This entry was posted in Gadgets, Tech, Wireless and tagged Phones. 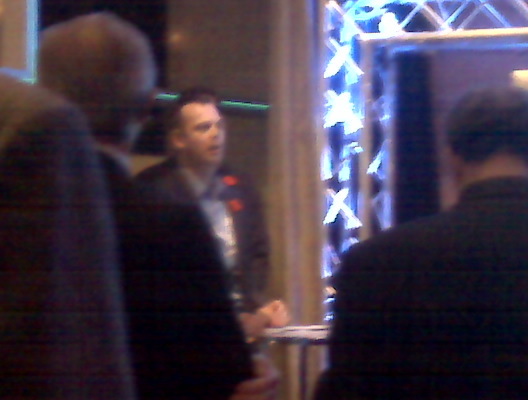 Two nights ago on November 10th, 2010, I attended the Nokia N8 Launch Party in Toronto, Canada where I was invited by Chris from WOM World/Nokia. It was held at Bang & Olufsen at 175 Avenue Road. It was a cool place and a cool party. Drinks and hors d’oeuvres were served, hip music was played. 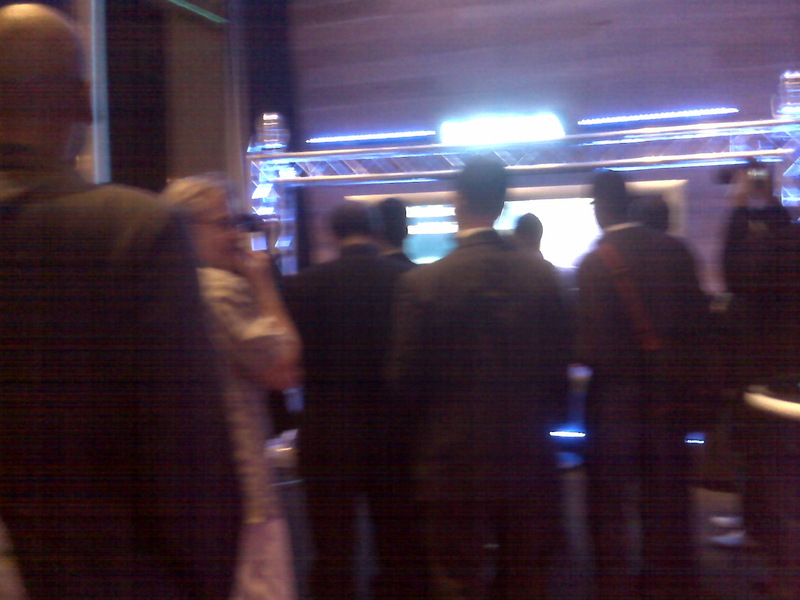 On one side was a section where anyone can play games using the Nokia N8s which were plugged into two big screen TVs. There was a section where someone was showing the game/apps features of the phone, and another section where someone was explaining the technical specs of the N8. I got to try out playing two games on the N8 — Avatar and Angry Birds. The screen was nice and very responsive. I noticed though that when you have 2-3 apps open while playing, it slows the game down. So if you ever want to play games on it, better to close all the other apps that you have running. When I headed over to the technical section, the guy who was there was still talking to someone. So I stood nearby kind of waiting. And then Glenn, the nationwide sales manager of Nokia Canada who was standing nearby too, asked if he could answer any questions I had although he probably wouldn’t be more specific as the N8 technical guy there. He was really nice as he answered my inquiries about the phone. I mentioned that it was really light and I was curious what kind of material was used to make it; he said it was anodized aluminum. I probably wouldn’t have needed to ask that question if I did some homework on the product before going to the launch party. We talked about how good its touchscreen was. I mentioned that based on my experience with other Nokia models with touchscreens, this one was really good while the older ones were not so good. Also the N8 has 16GB internal memory but is expandable up to 32GB with a MicroSD card. Welcoming remarks were made after an hour I was there by another important person from Nokia Canada (sorry can’t remember who it was) and also the host that was the owner of Bang & Olufsen. It was mentioned that the N8 is sold only on Rogers Wireless for $79.99 on select 3-year plans. Also on a side note, interesting that the host mentioned that Bang & Olufsen and Nokia had something in common, that is they are both Scandinavian. And then they showed a video on the big screen which was shot with the Nokia N8. It was sharp and had good picture quality. After the welcome remarks, I hung out for a bit more, had some more hors d’oeuvres and played again with the N8 in the games section, then I had to go home because I had work early the next day. Anyway, eventhough I’ve had a short experience with the N8, I was already really impressed by it. I can’t wait to test it out for a couple of weeks (coming soon!). 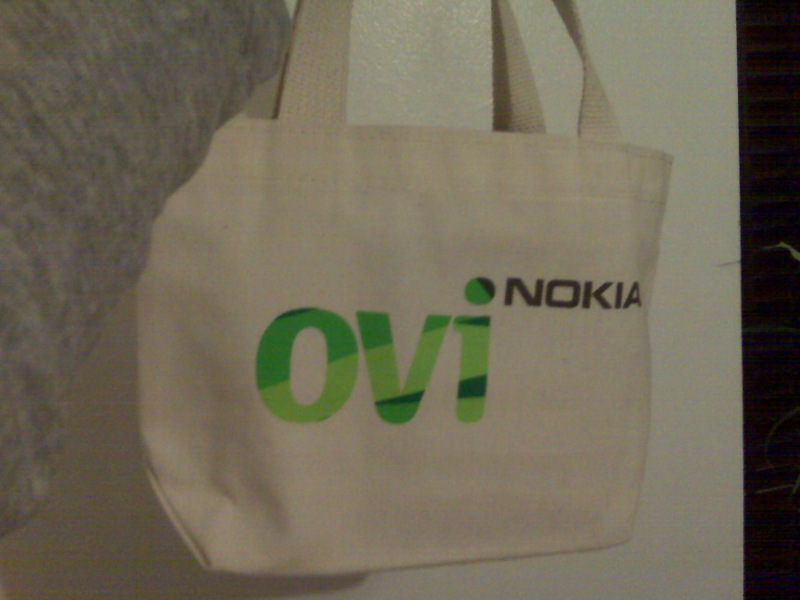 Oh yeah, I got a free Nokia Bluetooth Headset BH-804 in a small giveaway Ovi bag. That was pretty cool. P.S. The photos I took are kinda crappy because I didn’t have my camera with me so I used my BlackBerry Curve. This entry was posted in Life, Tech, Wireless and tagged Phones.